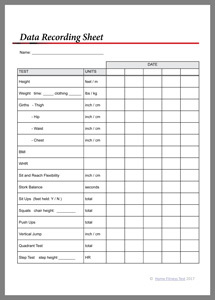 We have created a page for recording all of your results from the Home Fitness Test. Click HERE to download the results recording sheet pdf. Once you have recorded all of your test results, you can plot them using our unique rating scale.